Ashlee Jeannot is the Project Coordinator for IBIS Consulting Group. She has a wide range of experience in administrative work, diversity and inclusion programming, and project development and coordination. Ashlee received her Bachelor’s Degree from Emmanuel College in Communications + Media Studies with a minor in Political Science. During her time at Emmanuel College, she was heavily involved in diversity and inclusion programming and committees such as the Presidents Commission on Diversity and Inclusion and Founder of S.T.A.R.T, a student-led program that seeks to equip students with the knowledge and tools needed to navigate the society we live in; through meaningful dialogues, reflections, workshops, training, and presentations. 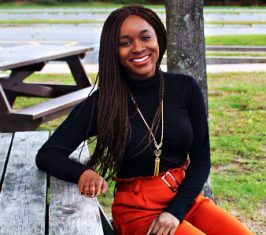 She is currently a 2nd year Masters student in the Diversity and Inclusion Leadership program at Tufts University.